Sale Period is from December 8 to 11, 2011. Travelling Period is from December 11-15 & 16-25, 2011 and December 31, 2011 to March 15, 2012. Applicable One-way Surcharges (YQ): Luzon - P296, Visayas - P300 and Mindanao - P400. ALL-IN One-way fares are inclusive of Surcharges and V.A.T. but exclusive of P15 Aviation Security Fee (ASF). Valid for one way and combinable for roundtrip travel on economy class. Mileage Accrual: 25% mileage accrual on Fiesta (Economy) class. Free Baggage Allowance: 15 kgs. for Fiesta (Economy) class. 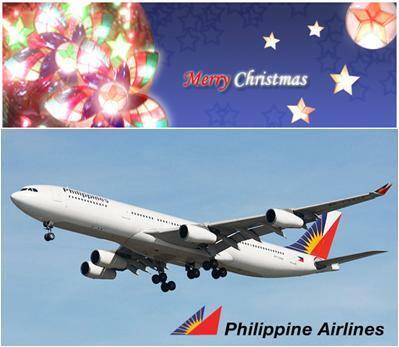 Click here to book Philippine Airlines now!